Check out the Pro Zone! The Pro Zone is a full service ice hockey and figure skating pro shop. Whether you are new to the ice or a seasoned veteran, we can help you with your equipment questions and needs. The Pro Zone is also our “Command Post”. It’s where you can sign up for classes, camps and birthday parties, pay for public sessions, freestyle and stick & shoot, or catch an NHL game on the television. Also available in the Pro Zone are gift cards, offered in the amount of your choice, that do not expire and can be redeemed for any program, session or retail purchase in the snack bar or Pro Zone. 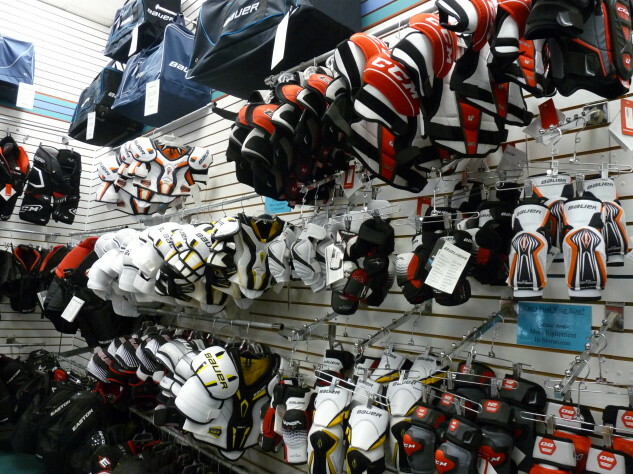 Stop by the Pro Zone and have our professionally trained staff fit your every hockey need. 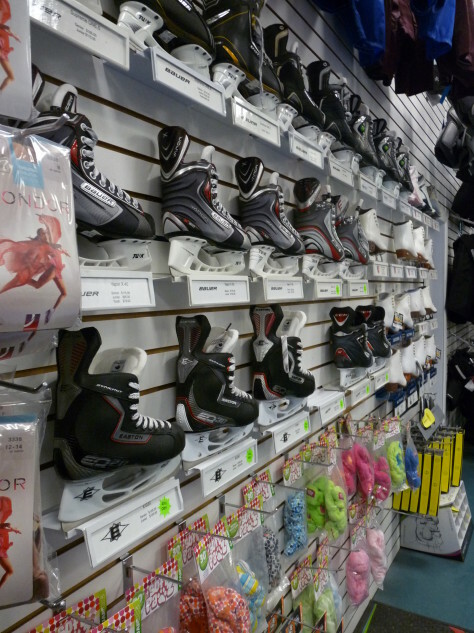 We have the benefit of experience of playing the game to assist you in purchasing the correct skates, stick, and protective equipment for your size and personal level of play. Proper fit is essential to maximize your skating potential and avoid bodily harm. We offer complimentary heat molding and first time sharpening on all skate purchases- a $35.00 value that you won’t find online. 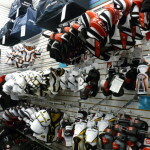 We are an authorized dealer of many brands including Bauer, Easton, Reebok, CCM and Warrior. Don’t forget to pick up a hockey bag to tote all your gear home! Our friendly Pro Zone team can also provide professional fitting for all levels of figure skates, from beginner to custom. We carry many models from Riedell, Jackson, SP-Teri and Harlick. 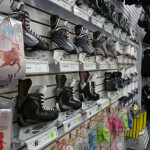 Whether you are just completing a Learn to Skate class or are a senior competitor, we have the skates to fit your needs. When you purchase skates at the Pro Zone, we provide free first time sharpening, heat molding and boot punching (if needed). And we won’t charge you to mount blades bought in our shop! Put Your Passion On Display! When it comes to apparel, the Pro Zone is fully stocked. We carry officially licensed Washington Capitals NHL clothing and hats, in sizes from youth to adult, minus the professional arena price tag. If you need a practice jersey, hockey socks, wind suit or referee uniform, you’ll find it here. Show your passion for the world’s fastest game by sporting apparel from our wide selection of t-shirts, hoodies and even pajama pants. Figure skaters will shine on the ice in dresses, pants and shorts from Mondor’s latest collection. Forgot something at home? 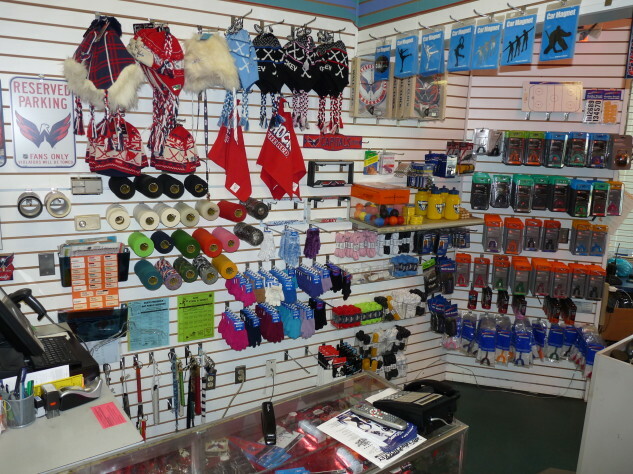 We always have hockey tape, pucks, mouth guards, water bottles, tights and gloves on hand in the Pro Zone, as well as many gift ideas. 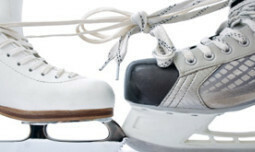 In order to protect your investment and provide peak performance, it is essential to maintain your skates. The Pro Zone offers many services, the most important being skate sharpening. Our skillful staff is available to sharpen your skates on-the-spot for $8.50 or overnight for $6.50 on our Blademaster Custom Radius sharpener. Additionally, customers can purchase a skate sharpening value card for $55.00 which entitles the bearer to 10 overnight sharpenings. We will be happy to keep the value card on file in the Pro Zone for your convenience.